In Hunger Games Mockingjay, the third installment of The Hunger Games series, the protagonist Katniss Everdeen must make some tough decisions. Despite all odds, she has survived the Hunger Games twice. But she is still in danger, and so is everyone else in District 12. The Capitol, furious and vengeful, is baying for blood, more specifically Katniss blood. Katniss is at the center of the uprising that is fighting to bring down President Snow and The Capitol from power, but she has to decide how far she can stick to a cause that is turning out to be perilous for her friends and family. Katniss takes on the mantle of being the Mockingjay , the face of the revolution. Readers need to be familiar with the first two installments of the book to be able to appreciate the story in the third one. The author leaves no detail out while depicting the gruesomeness of war, thanks to her knowledge of the same. 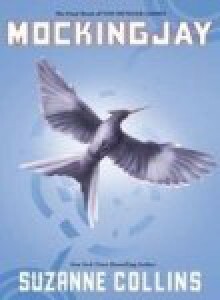 Hunger Games Mockingjay sold close to 450000 copies immediately after its release, and the books in this series are being adapted to the big screen, featuring Jennifer Lawrence as Katniss Everdeen. The first movie has been produced by Color Force Production company, and its worldwide distribution rights have been acquired by Lions Gate Entertainment.